Kodiak is the leader in ultra-lite technology. With units light enough to be towed by most SUV’s, minivans, crossovers, and light trucks, we’re sure to have the model that best fits your family’s needs. 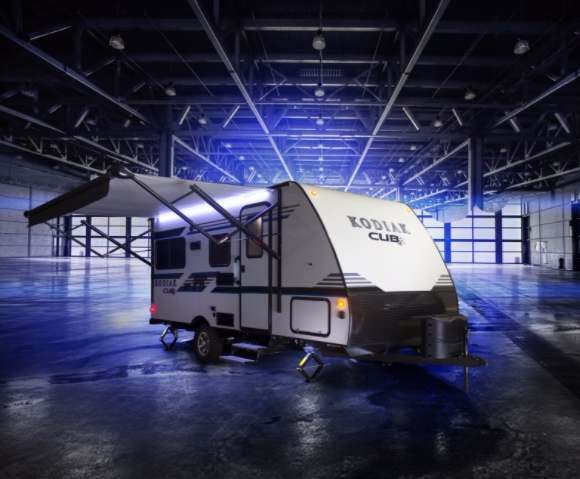 But, just because Kodiak is an ultra-lite doesn’t mean it’s light on storage or features. With spacious solid surface countertops, well-designed cabinets and over-sized pass-thru exterior storage compartments, it’s easy to take everything along on your next adventure. 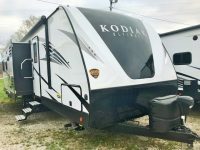 This all-new line of ultra-lite travel trailers in the Kodiak brand accommodates smaller tow vehicles without sacrificing key features. 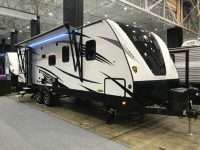 Extend the camping season with the fully enclosed and heated underbelly, and easily set up the Cub after dark with the exterior LED lights under the unit. 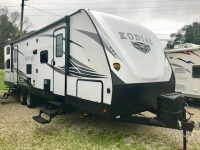 IN A KODIAK, LITTLE TOUCHES MAKE ALL THE DIFFERENCE, LIKE SPACIOUS CABINETS AND COUNTERTOPS, EASY-PULL DRAWERS, AND SKYLIGHTS IN THE LIVING AREAS.